 Welcome to DJ Music Geek (formerly MyDJKit.com and FeministMusicGeek.com), the merger of two industry leaders to create one ultimate DJ site! Finding the most fitting music equipment is not always easy. Even if you are a professional, you might want to make some changes in your studio, being it either a new DJ controller or software. There are many of us who like sticking to their analog devices, because of their exceptional sound quality. However, in our days, it is not always convenient to perform with a set of devices instead of being able to master your compositions in front of a laptop. You might be able to always find some devices in a club or studio, but nothing will be able to replace your system, which you can use to fully manifest your potential. For this, you will need a laptop and most likely a digital controller. A DJ controller is a perfect unit for any DJ to master his mixes and be able to perform anytime, anywhere. Due to their light weight and smaller size, they are very easy to transport. Another feature is their friendly user interface, which allows any kind of user to control it without difficulties. For this purpose, you will need a good running laptop and a DJ software, which will help you turn your ideas into sound. For some, it could still be too much to replace their analog studio with a new digital set. You don’t need to make radical changes, if you don’t want to, however, you can use a hybrid setup, which might prove useful if you are performing out of your perimeters. Carrying all the devices can be messy, so it would be much easier to take your laptop and controller, being able to perform with the analog devices provided by the house. 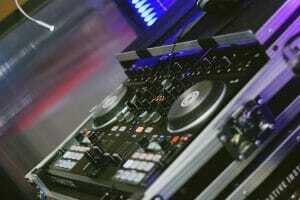 There are many options when choosing a right DJ equipment, and the paragraphs below will help you choose one. Either you need a compact one with all the prerequisites within your laptop, hybrid with the ability to mix on the local devices or entirely digital with mixing decks on it, you can find these with the knowledge offered here. 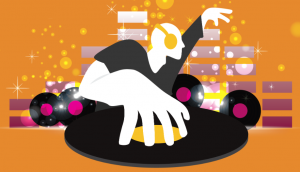 DJ controllers will offer you the functionality to perform easily within many music software. They usually feature deck control, which allows you to scratch the vinyl similarly to real turntables. Their built-in controls help to emulate the functionality of turntables and CDJ’s offering you the genuine experience together with other features. Controllers usually have built-in mixers, and some come in with internal sound cards. Owning a DJ controller will ease the work for any performer because it’s an all in one box that packs the functionality from several devices. The controller requires only a laptop to control the mixes within the software and a sound system to output the sounds. 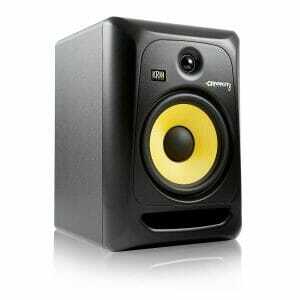 With these, you can create music anywhere, anytime without investing much effort for transportation and mixing. For starters, you can take a look at NuMark and Native Instruments, because they feature the most user-friendly and compatible devices from the list. However, there are many other alternatives worth considering. If you are serious about DJing, you can’t go on without a decent pair of speakers. It is not necessarily to have the best speakers in your set, but some that will deliver you the needed range of sounds and quality will be a treasure at your studio. Firstly, you have to decide if you will perform in a studio or at home. If you use your speakers to mix with other DJs, you will need a set that will produce a higher end sound. However, for home use is no need to go very far, as some basic monitors will be sufficient to offer you the audible quality of your mixes. For better sound quality, you should always check for a higher wattage. The DJ Software is essential for monitoring your mixes and making changes to it. After all, the head of the controller is the software, which gives it the ability to control its parameters. A DJ software allows you to see the digital turntables, control the recordings and decide how the controller should react to it. There are many options, and you should know how you want to use it to make the right choice. The market is full of DJ controllers. However, the appropriate software leaders are Serato and Traktor. They both work quite similarly; however, they possess some differences which may decide its type of user. 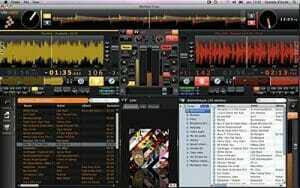 Traktor might be the best choice for those who can’t decide upon the better alternative. Traktor is an open system, which can be controlled from different devices, including some 3rd party controllers. The best fit for it are the tools from Native Instruments, as they manufacture their units to be fully compatible with Traktor. Serato is another popular choice. However, it is a closed system, which means only specified equipment can be used to it. Serato doesn’t support 3rd party manufacturers, and it responds only to devices which are certified under its mark. It is hard to remap and modify its initial settings. Many DJs stick with Serato because it’s a classic adaptation of DJing being popular with those who like mixing with turntables. In this category mostly enter hip hop and scratch DJs. 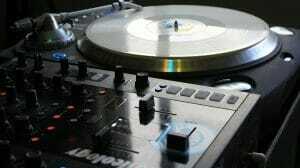 Nowadays, turntables are still widely used for scratching. DJs who are used to controllers and are trying out the scratching technique on a turntable for the first time notice that it’s harder requiring experience for doing it fast and precise. You can still find today a wide range of vinyl for DJ scratching. There are also many excellent turntables for scratching coming from Stanton, Vestax and other brands that are well known to make their devices with an air of old-school resemblance in them. 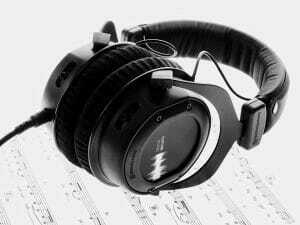 As a DJ controller and software, the headphones are vital to a DJ. The headphones help them to monitor the upcoming tracks allowing to change onto the next track following the right timing and tempo. Unlike other types of headphones, DJ headphones are meant to operate in environments with high noises. Therefore, they usually output some sound characteristics deeper such as bass, to allow the performer to clearly hear the instruments in the mixes. In this case, the sound doesn’t maintain its standard neutrality and is outputted beyond its initial dynamics. However, when you are searching for a good pair of DJ headphones, the volume shouldn’t be the first feature to consider. With the general environmental noise, it would be too much for the ears to support louder sound, so for this reason, some good DJ headphones should be able to block the external sound good enough. They shouldn’t totally cancel the noise, as the noise cancellation headphones. Such headphones should offer a proficient sound and assure you that you hear your mixes right either from the headphone or the monitors. 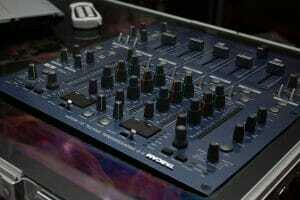 Assuming that you have or plan to buy a controller, turntable or CDJ, you will need a mixer. You shouldn’t look upon the best mixers in the market, as for your practicing, a basic one would suffice. The owners of clubs can invest enough for a high performance unit, but usually, DJs are enough with a simple mixer that will allow them to develop their skills. Club mixers are the standard type of mixers, which don’t imply any scratching and are mostly meant for electronic genres. They allow to control the equalizer, filter the sound as manipulating the envelope. Suitable mixers can be found from Allen & Heath and Pioneer as their units are already the industry standards, which many clubs use. They are packed with such features as high and low pass filters, EQ, multi-channel mixing and different effects. These are optimal for DJs who mix their tracks from such genres as house and techno. The scratch mixers were mainly designed for battle DJs, who need specifically sustainable cross and line faders, which these devices offer them. They are oriented to support the user throughout the scratch routine and be able to withstand all the incoming pressure. A scratch mixer should be easily customizable. Scratch DJs often replace the factory faders with their ones, which offer them better comfort during performances. As a scratch DJ, you will need to learn many tricks how to customize your unit to perform better and maintain it so that it will serve you long. A modular system is a popular choice for many professional DJs. It implies the use of an audio interface that will interconnect between your mixer and laptop. These systems are very light, and it’s easy to pack the whole set in the backpack. This choice is a good alternative because of its portability and optimal sound quality. DJs need the ability of sound cards when they want to monitor the tracks during their mixes. It also allows amplifying the sounds on analog systems. If you don’t have a soundcard on the board of your controller, you will surely need one. It will ease the creation your mixes and improve the sound quality during your performances, whether you will output it through a multi-channel mixer or will use a new instrument which will interchange the signals through the sound card. You can find a lot of information about all the mentioned music equipment on this site. The reviews and explanations will help you in meeting the most appropriate decision. Enjoy your stay and keep mixing!